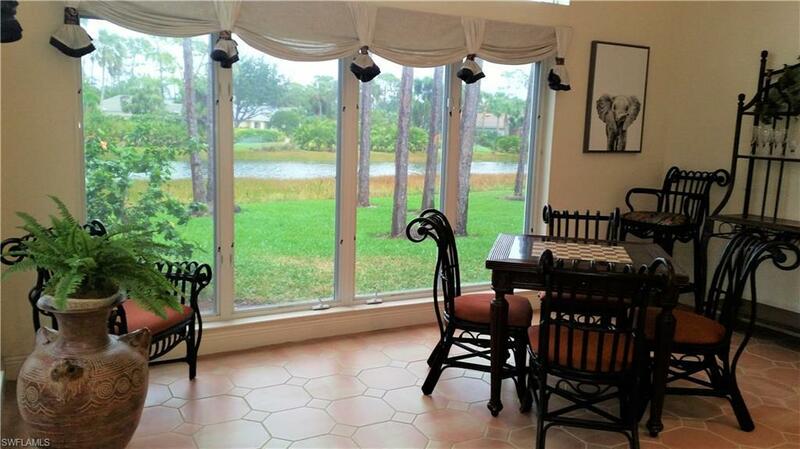 24521 Woodsage Dr, Bonita Springs, FL 34134 (MLS #218001914) :: Clausen Properties, Inc. 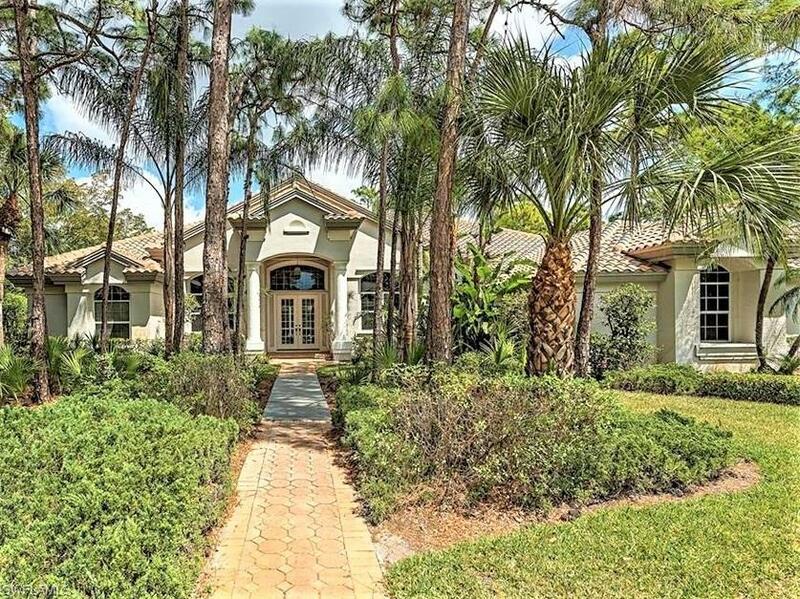 This Pelican Landing pristine executive luxury home is available annually. This is the best lake view in the community. Grounds are lush in a community teaming with wildlife. The private NW view provides glorious sunsets and a sunny pool deck. 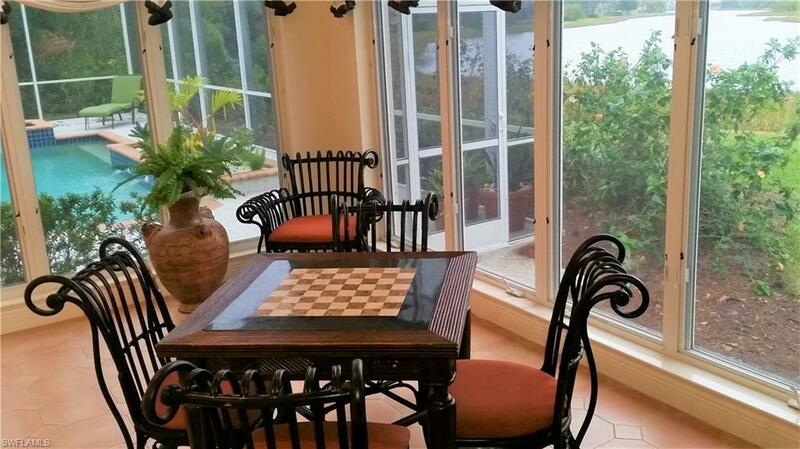 Near Coconut Point Mall, the airport and Naples dining, arts and shopping. The 4000+ sq foot plan is designed for indoor/outdoor entertaining and enjoying our relaxed Florida lifestyle. The kitchen is well equipped with center island and big walk in pantry. The master suite is separated from the rest of the house by gracious double entry doors. It has direct access to pool area. The spacious bright master bath has double vanities, large glassed in shower, and a soaking tub. Multiple glass sliders open to the fully screened lanai with a resort pool, spa, outdoor kitchen and large deck space. An air conditioned storage space doubles as a wine cellar. Pelican Landing has numerous resort amenities: private island beach club, 12 tennis courts, a state of the art fitness facility, miles of walking and biking trails. There's a sailing club located next to the beach ferry. Relax, enjoy a resort lifestyle today. A worry free rental.